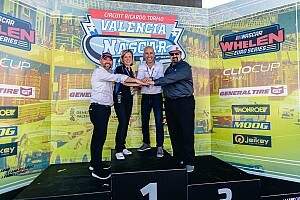 The NASCAR Euro Series starts its 11th season on April 13 in Valencia, Spain with two new names expected to be listed on the entry list joining former NASCAR Cup Series champion Bobby Labonte. 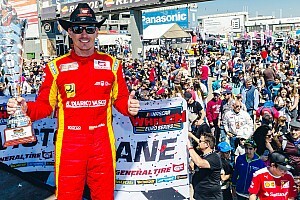 The former NASCAR Cup Series champion will compete in Valencia for the second consecutive season in the Whelen Euro Series. 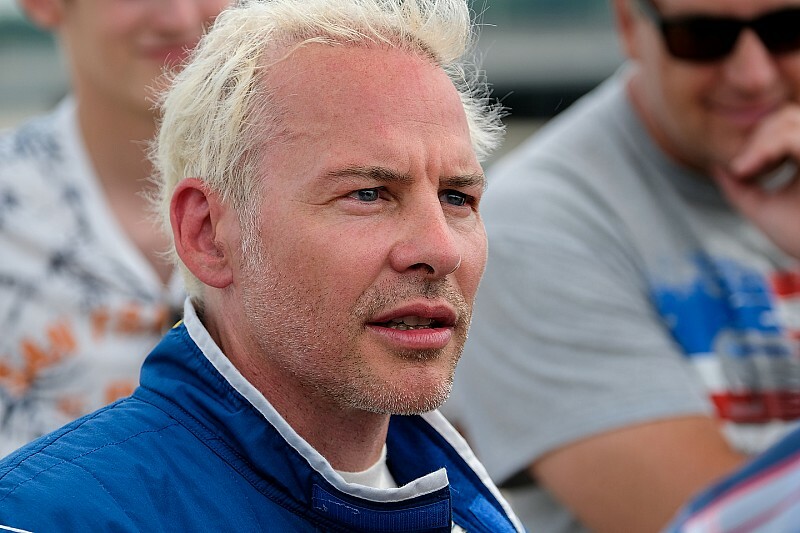 Jacques Villeneuve and Ellen Lohr will kick off their Euro Series debuts at the Circuit Ricardo Tormo. But what is the NASCAR Euro Series, which is new territory for many motorsport fans around the world? 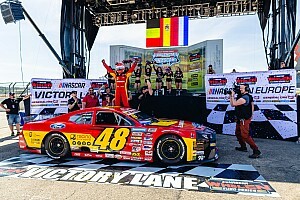 The series was founded in 2009 by EuroNASCAR President Jerome Galpin in France before it became sanctioned by NASCAR and all races were only held in France. However, the series expanded rapidly and events were held all over Europe. In the 2012 season, the series was officially launched under the NASCAR banner. The series is the third international series sanctioned by the American owned sanctioning body. In addition to the NASCAR Whelen Euro Series, NASCAR also sanctions championships in Mexico and Canada. Unlike in the USA, the Euro Series races usually takes place on well-known European round courses. In 2019 there will be seven race weekends in the NASCAR Euro Series for the first time. The season starts in Valencia, Spain, where the MotoGP race will also be held. The track can be seen very well by the spectators from all places and conveys a real NASCAR feeling due to the stadium atmosphere. Euro NASCAR will then travel to the Autodromo di Franciacorta in Italy. The small, technical track has established itself in the calendar over the past few years. The most successful event of the European NASCAR Championship takes place at Brands Hatch. The short Indy layout will be raced there. The event is usually attended by around 50,000 spectators. New in 2019 is the Autodrom Most in the Czech Republic. This is the first time that the NASCAR Euro Series will held a race in Eastern Europe. The finale of the regular season will take place in July at the Raceway Venray. The track in the Netherlands is a half-mile oval based on the American ovals and it's the only short track in the 2019 calendar. The semi-finals of the series will take place at the Hockenheimring. The race in Germany is the start into the play-offs, in which double points are awarded. Here, however, it is not the whole Grand Prix circuit that is driven, but the motorcycle variant that leaves out the hairpin turn. The finale is traditionally held at the Circuit Zolder in Belgium. The chassis and engines used are spec parts and closely modelled on NASCAR vehicles from the USA. The V8 engine has around 400 horsepower and a displacement of 5.7 litres. Due to tightly defined regulations and the use of many spec parts, the series is considered a pure driver championship. Electronic driving aids are not to be found in these cars. The vehicle has a rear-wheel drive and a manual four-speed H-shift. The vehicles weigh 1225 kilograms. Based on the NASCAR Cup there are silhouettes of Chevrolet, Ford and Toyota. The NASCAR Euro Series consists of two separate championships: the ELITE-1 and the ELITE-2 Division - the first and second leagues. In both championships, two races are held every weekend - with the exception of Venray, where only one race takes place per division. To keep the costs for the teams and drivers low, an ELITE-1 and ELITE-2 driver will share a car on the race weekend. The runs of the ELITE 1 Championship have a distance of about 75 kilometres. In the ELITE 2 Division, around 60 kilometres are driven per race. Qualifying consists of a group session and a Superpole in which the twelve best drivers from Q1 compete for pole position. A record field of up to 33 cars per race is expected for the 2019 season. On average, around 30 drivers from all over the world are expected to compete in both the ELITE 1 and ELITE 2 divisions. All races can be followed live on the series' social media profiles. For the champions of the ELITE-1 and ELITE-2 divisions, there is a special treat in addition to cash prizes. Both champions get the right to compete in a NASCAR-level race in the USA. Two-time champion Alon Day has already raced in the Cup Series. Former champion Anthony Kumpen took part in the Xfinity series race in Daytona. In addition, there are various special classifications in the two divisions for rookies, young drivers, female and male drivers. The winners of these separate championships will also receive a start permit for a stock car race in the USA. There will also be driver exchange programs with the series from Canada and Mexico. 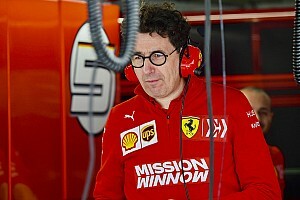 Due to the challenge of driving a car without any electronic aids, the series is becoming more and more popular with racing drivers from Europe. The entry of Villeneuve and Lohr shows the increased interest in the series. Formula 1 driver Daniil Kvyat has also already tested a EuroNASCAR car. In 2019, three-time champion Ander Vilarino from Spain will return to the series. 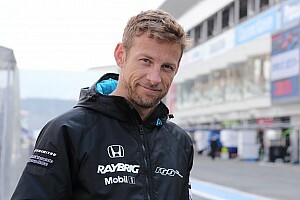 Day, who has won two titles in a row, now wants to become NASCAR Euro Series Champion for the third time in a row. Labonte competed full-time in Europe in the 2018 season and is looking forward to returning this weekend in Spain. "The racing is really good and the competition is getting stronger every year in the NASCAR Whelen Euro Series so I am excited to get back in the car at the GP of Spain,” said Labonte. “Last year's race in Valencia was pretty intense, especially in turn one. We had some great door-to-door battles along the way and it will be great to take what we learned last year and drive there for the second time. "More and more European fans are discovering the special atmosphere of the Euro NASCAR events and it will be great to meet them again in Valencia this weekend." With the former professional cyclist Tom Boonen - six times stage winner of the Tour de France - Loris Hezemans and the Bleekemolen family, there are other well-known personalities who will be chasing points in the 2019 championship. In 2019, Racing Engineering from Spain will also make its debut in the NASCAR Euro Series. The team has won the 2008 and 2013 GP2 Series Driver Championship.